Gary Lineker hailed David De Gea’s wonderful performance in Manchester United’s 3-1 win over Arsenal at The Emirates on Saturday evening. The Red Devils made the trip to The Emirates looking to end the north London’s side 13-game winning run and secure a fourth successive top-flight victory. Manchester United made the breakthrough in the fourth minute thanks to Ecuador international Antonio Valencia before Jesse Lingard doubled the visitors’ lead. Arsene Wenger’s men were trailing 2-0 but created lots of chances but couldn’t find a way past Spain international De Gea in the Manchester United goal. The former Real Madrid target was truly magnificent as he made a staggering 14 saves to keep the north London side at bay despite Arsenal producing a brilliant attacking display. De Gea was denied his clean sheet when Aaron Ramsey and Alexandre Lacazette combined in brilliant fashion to finally halve the deficit but the Gunners couldn’t beat the Spain number one for a second time. Paul Pogba’s powerful run teed up Lingard to score his second goal of the Premier League clash to seal three points for Jose Mourinho’s men in their must-win fixture. 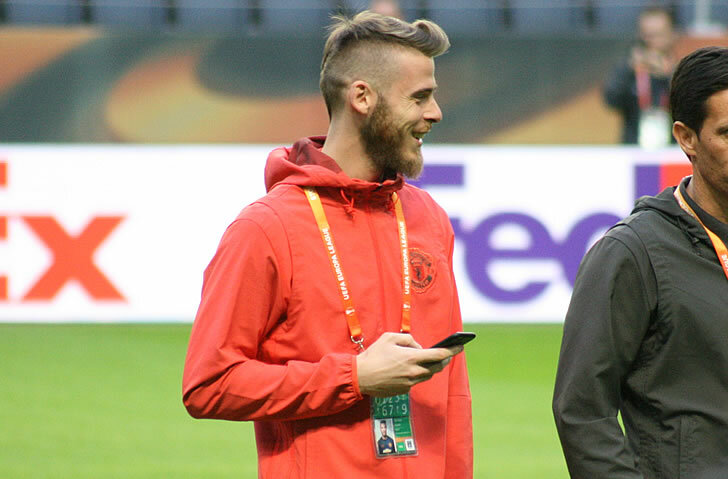 Former Tottenham striker Lineker lavished praise on De Gea for a world-class performance at The Emirates.